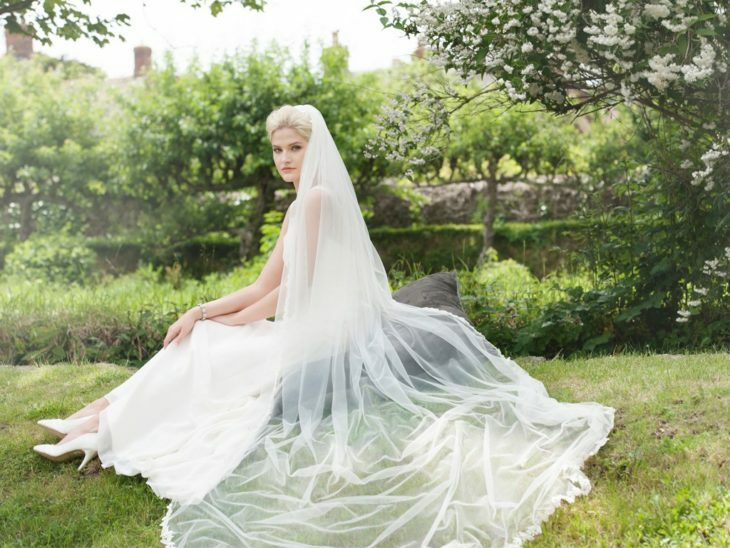 A veil is probably the most iconic bridal accessory. You must remember that it’s best to match the shade of your veil with your gown. 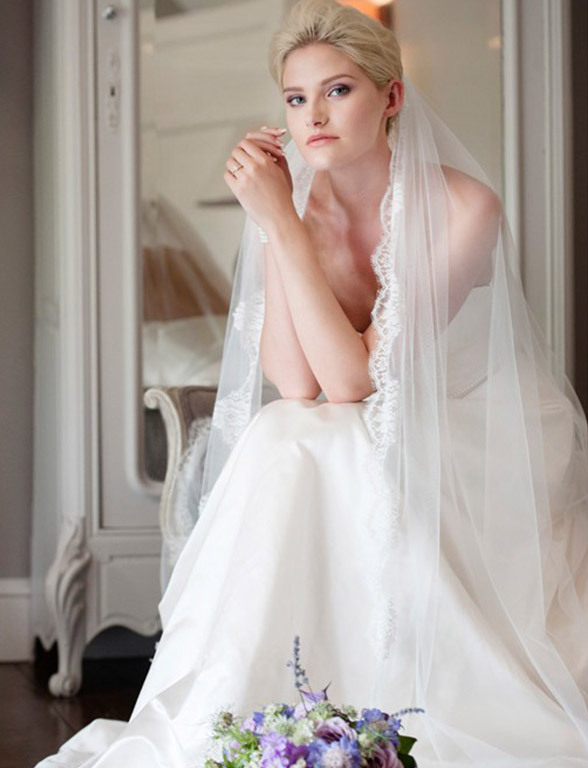 Think about the detailing on your gown; you don’t want to cover it up, and look too busy with an intricate veil. Veils come in varying lengths and colours. 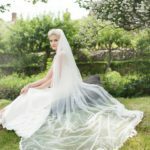 As an idea, if you want a long veil without compromising showing off the back of your dress, choose a sheer single tier veil rather than one with too many layers, this gives an elegant feel to your gown. 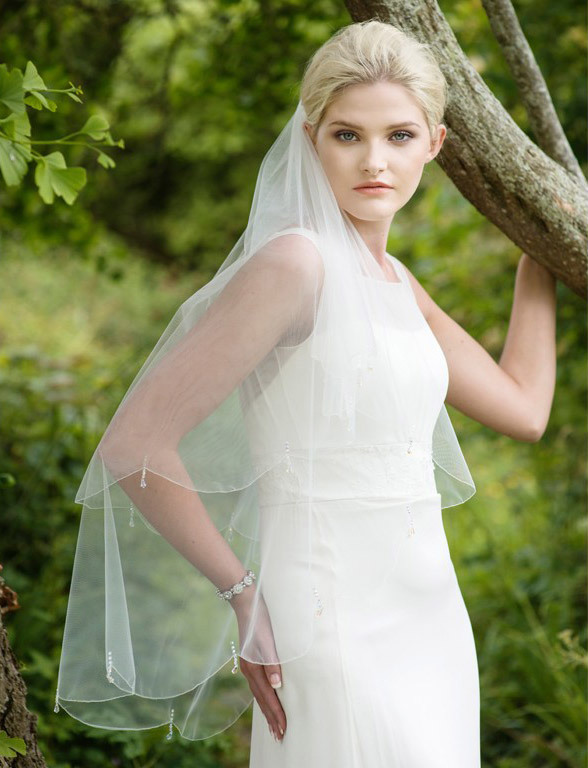 And if you choose to wear a tea length dress a short veil looks great or even a birdcage veil.